Description: Robert Hale, 1960. First Edition, Hardcover. Good Condition/Good. 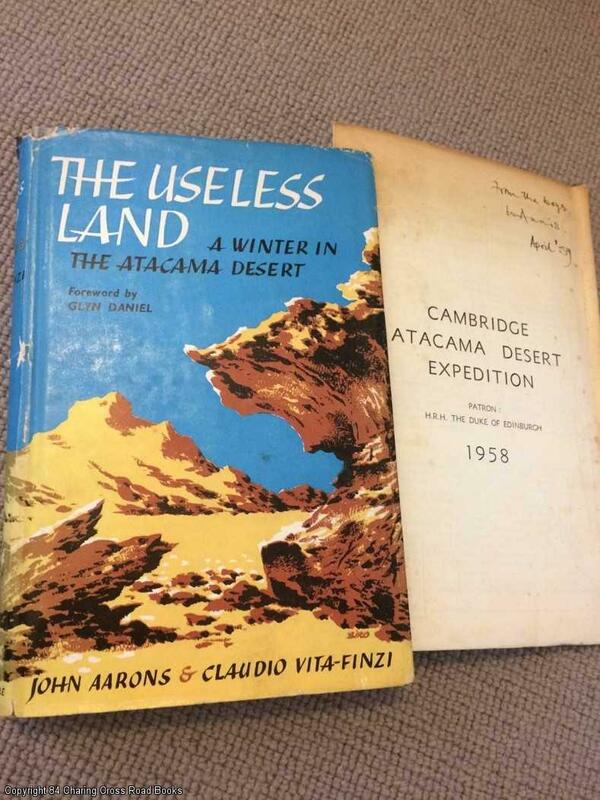 ~~Comes with Cambridge Atacama Desert Expedition 1958 leaflet~~Good+/Good+ 1st edition 1960 Hale hardback, unclipped DJ, lovely jacket illustration. Smal chips and tears to top DJ spine and 2cm tear around centre of DJ spine, 1cm closed tear to top rear edge of DJ, some mustiness due to previous storage and noticeable foxing to page edges and spotting to insides of DJ. A scarce title. Sent Airmail at no extra cost; Quantity Available: 1. Pictures of this item not already displayed here available upon request.